From the time I was a little girl, I have always loved creating things. 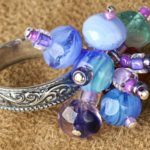 Remember those retro crafts, such as tile ash trays, yarn-wrapped hangers and macramé plant holders? I guess that’s where it all began with me. I was a teenager when I bought a book on how to Macramé. No computers in those days! 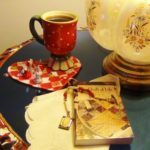 I studied the book and was soon making plant holders for friends and relatives. I felt such a sense of joy from being able to create something that people were proud to display in their homes. From that time on, I was hooked! 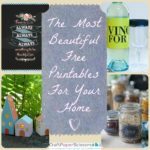 I’m not a master crafter at any one thing…I’m just a crafter who loves to dabble in a little of everything! My blog is exactly that! 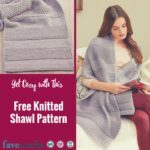 It’s for the person who has a passion for creating simple projects and has a love for giving and sharing. After all, isn’t that what crafting is all about? 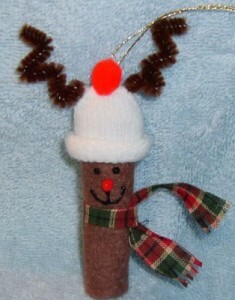 Since we only have 91 days until Christmas, I thought you’d enjoy making this simple reindeer ornament. See step by step instructions below. Enjoy! 1. Roll a 4 x 3-1/4 square of tan or light brown felt into a tube shape. Place a narrow stripe of hot glue down the back part and seal. You don’t have to roll it up extra tight. Just roll it. Once you have it rolled up, you may want to snip the top and bottom to even it up, if it needs it. 2. For the reindeer’s snow cap, I bought the cheap stretchy gloves. I believe they were $1.46 for two pairs at Wal-Mart and they made 20 caps. Cut off the fingers on the gloves and snip a little off at the bottom. Roll up the bottom part up a couple times to make the brim of the cap. You can buy the gloves in red, green…any colors you want. For the reindeer, I cut a 5 inch piece of fuzzy pipe cleaner and bent it in half. I then pushed it inside the snow cap and it popped through without a problem. Next, bend the pipe cleaner to look like antlers. 3. I then hot glued a red pom-pom on top of the cap. Lastly, place the cap on top of the felt roll. Surprisingly, you won’t have to hot glue the cap on the head. It fits nice and snug! OPTIONAL: If you’d like, you can add a brad or sequin star on the front of the snow cap. (If using a brad, snip off the back of the brad with wire cutters.) You may also want to add a touch of ultra-fine glitter to the cap. 4. I bought small bottles of puffy paint (dimensional fabric paint) in shiny black and shiny Christmas red. I used shiny black for the eyes and mouth, shiny red for the nose. 5. Next, wrap a plaid strip of fabric around his neck. I tied it once and cut fringe at the ends. 6. Lastly, I tied gold ornament/bead thread around the top of the red pom-pom. Now you have a cute, lightweight reindeer ornament to hang on your tree! I just LOVE the Fall season and around the middle of the Summer I start thinking about Fall and my Fall decorations. It’s also a time of the year that drives my husband crazy. Unfortunately that’s my fault. You see I REALLY LOVE the Fall season. And I LOVE to DECORATE for the Fall – which means work for him dragging all my floral decorations and Fall decorations up from the basement. Now it wouldn’t be so bad if I only had a few decorations and a few trips up the stairs. Au contraire! Did I mention I LOVE FALL? I can’t do anything in moderation. No – not me! I like a LOT and I like BIG – which means big floral arrangements and big dolls. And, all this means MANY, MANY trips up the stairs. My poor husband. Fall just seems to drive my creativity. It happens each and every year and I have no control over it – or at least I like to think I don’t! 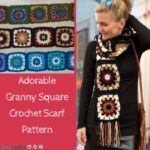 Well, a couple of years ago my Fall creativity must have been at an all time high as I designed over 100 patterns at that time for my Linda Walsh Originals website. One of those designs was a trio of pumpkin ornaments. My pumpkin ornaments are a fun group of “crazy guys” to make for the Fall. They are 2″ cloth pumpkin ornaments with embroidered faces who just like to hang out just about anywhere. Hang’em up! Stick’em in a bowl of potpourri! Line them up on a shelf or even add them to a fall wreath. I hang some of mine from the door knobs in my kitchen and line others up in a long bowl surrounded by miniature cinnamon pumpkins. They may be similar in size, but their diversity of color and position of their embroidered faces make them unique. And, they are happy about that. They figure that it’s okay to be similar and part of a trio, but they each have there own personality which is reflected in their color and their face. And, that they are happy about, too. They’re just a trio of ornaments – punkin ornaments that is! Don’t let Christmas trees be the only thing green in your home this holiday season. 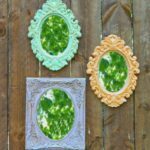 There are tons of ways to craft while being good to the environment and recycling some of your old decorations or fabrics from projects past. 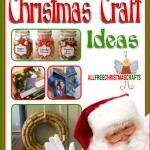 One of the easiest ways to implement a few green crafts into your annual decor is in your ornament collection. 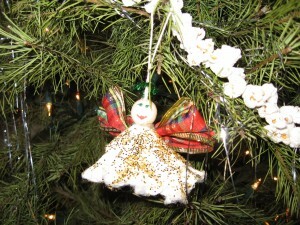 Use old fabrics to create unforgettable ornaments that you can hand out as gifts to the whole family. No one will even know they are recycled unless you care to share your earth-friendly ventures with those who care to listen! 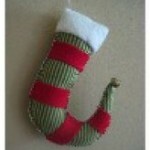 Tina Wick for Greenpurse submitted this fantastic stocking ornament project. I think it’s a quirky take on an old-fashioned stocking that’s nostalgic, budget-friendly and looks good too. 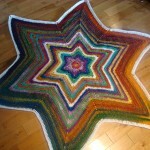 If you liked this, check out more Green Crafting ideas! What’s the deal with tampons? Much to my surprise I’ve learned we can create crafts using tampons. That’s right, it’s good for any time of the month. I received a very unique craft from a guest contributor this week. Ada Barber sent in a tampon angel. I know what you’re thinking, I thought the same thing, but she put it perfectly, “Some people think this is great, others think it is gross and ridiculous.” You might as well give it a try. If for some reason you have expired tampons laying around the house you might as well get your money’s-worth and do something with it. Be creative. 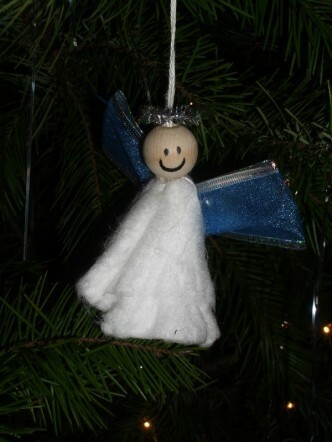 This tampon angel is very easy to make and it’ll make for a great conversation piece. Even if you don’t have expired tampons you can go out and buy some specific for this craft. Get out of your comfort zone and craft. Get a bunch of girls together like she did, I’m sure you’ll have a great time with it! 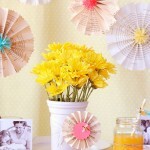 If you like this craft project, guess what, there are plenty of other tampon crafts you can make. Check it out! What’s the most unusual craft you’ve ever made?